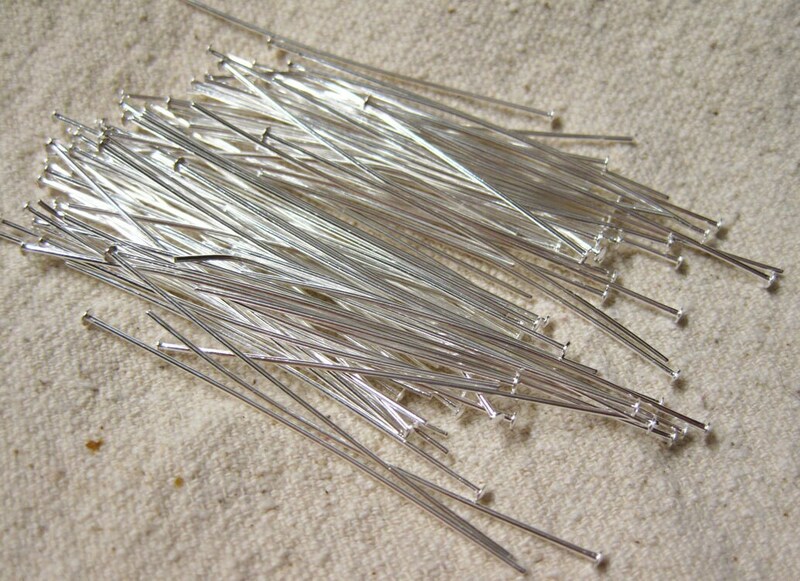 1-1/4" head pins, silver plated brass, sturdy 19 gauge with a large head. You will receive 50 headpins. The plating on these pins may flake off a bit. I have used them when I needed to make a plain unwrapped loop only. They work quite well also in the one step looper tool. Pins may not be completely straight but can easily be straightened as you work with them. Clearance on this item. Great quality! I even received a free gift with purchase!